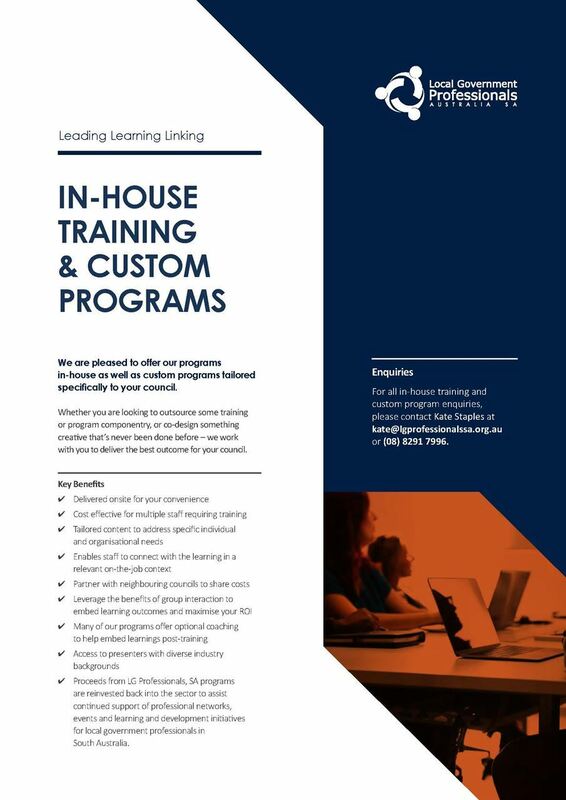 WE ARE PLEASED TO OFFER OUR PROGRAMS IN-HOUSE, AS WELL AS CUSTOM PROGRAMS TAILORED SPECIFICALLY TO YOUR COUNCIL. We can adapt training methods and language to match your policies, processes and systems. Whether you are looking to outsource some training / program componentry or co-design something creative that’s never been done before – we work with you to deliver the best outcome for your council.